Second opinions can help provide the information you need to make an informed decision about the treatment for your child. We understand you want to be certain your child is receiving the best possible treatment available anywhere in the country. Second opinions can help provide the information you need to make an informed decision about the treatment for your child. Second opinions can provide reassurance to your family by confirming the treatment plan suggested by your child’s doctor. They can also, at times, give you alternative treatment options. Families are welcome to schedule an appointment at the Aflac Cancer and Blood Disorders Center to meet with our medical experts in-person. Please call 888-785-1112 or 404-785-1112 for more information. Your child’s doctor may speak with one of our physicians on the phone. 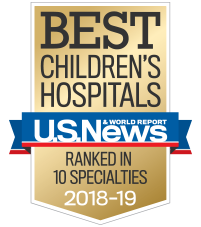 If you are interested in getting a second opinion for your child, we believe it is important to seek a doctor who is specially trained in caring for children and who has expertise in treating the specific type of cancer or blood disorder you have been told your child has.